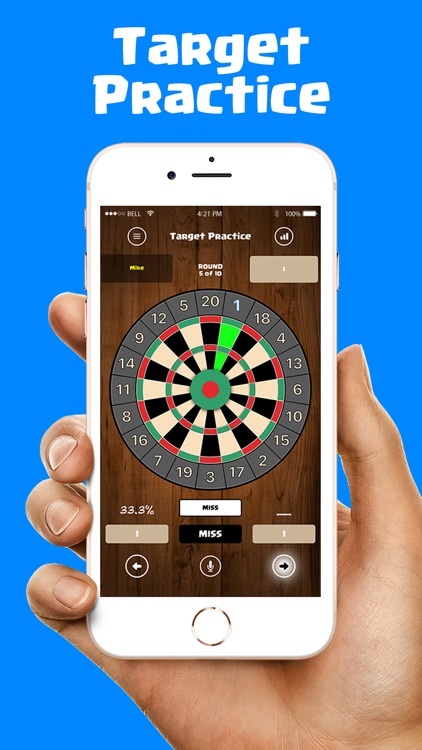 Scoring darts has never been easier. 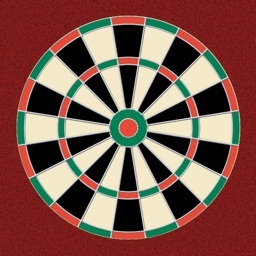 Score Darts Cricket and X01 allows you to keep track of your cricket, X01, Around The Clock and Shanghai game scores. 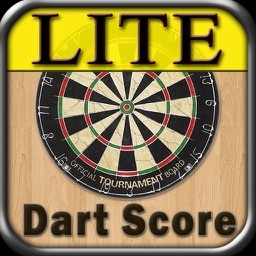 Play with 2, 3 and 4 players or play on your own against our Score Bot AI to perfect your dart throwing skills. 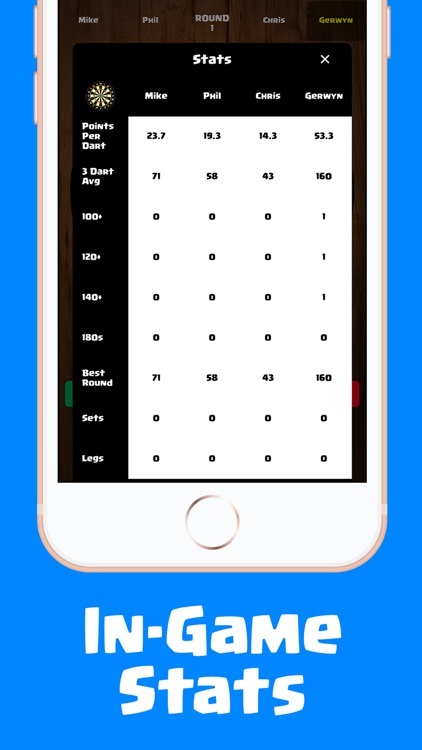 Use AirPlay and Apple TV to project a completely custom score board (unique from your iPhone screen) for all players to follow along with the game score and stats. 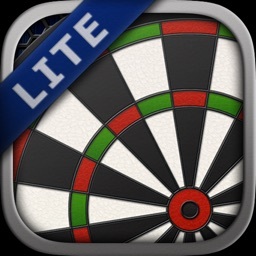 Matches are saved so you can start as many different dart games as you like and come back to them later. * Up to 4 players in standard cricket, cut-throat and no points modes. 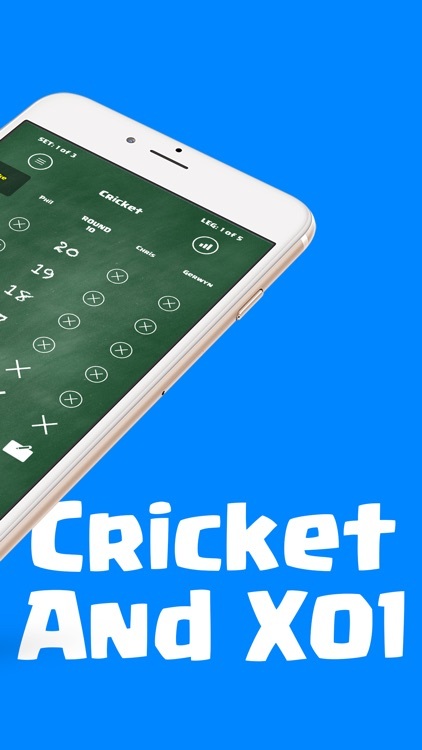 * Play single player Cricket against Score Bot, our dart throwing AI, with easy, medium and hard difficulty levels. * Stats for marks per round saved for each match and every player. * Up to 4 players in X01 with 101, 301, 501, 701, 901 and 1001 modes. 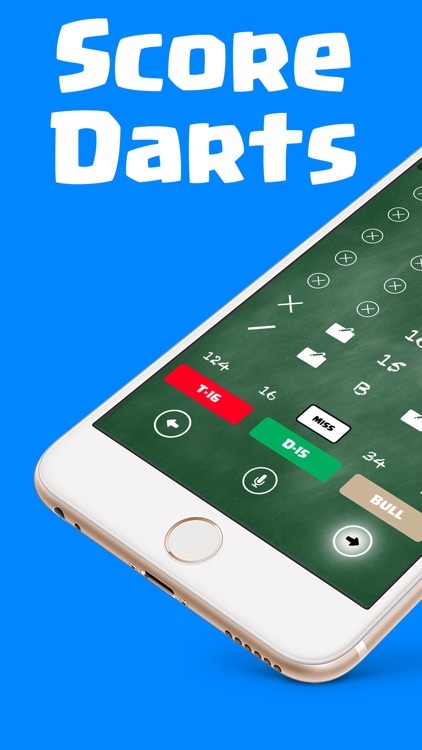 * Play single player X01 against Score Bot, our dart throwing AI, with easy, medium and hard difficulty levels. * X01 options include straight in, double in or triple in for first throw. * X01 options include straight out, double out or triple out for close out. * X01 scoring suggestions appear directly on the dart board. The recommended target will appear bright green. * Play 7, 10, 15 or 20 round Shanghai. * Save matches and game history with support for multiple games in progress. * Intuitive scoring system with 3D touch support for clean and simple UI. * Detailed match history allows you to transfer games to league scoresheets. * Track misses and any non-scoring dart throws. * Track player progress with win %, matches played, marks per round (cricket), points per dart (x01) and 3 dart average (x01) history for all games played. * Eliminates math error with score totals. * Leading player name turns gold to easily see who is winning. * X01 Score Assistant helps you decide where to aim. * Undo button allows you to fix any mistakes. * Score dart throws with your voice. Simply tap and hold the microphone button and speak your scores and we will enter them automatically. * In-game commentary nudges players when it's their turn to throw and awards you with positive feedback when you do well. * Add/edit players and track player progress. * Completed match screen shows player rank and number of darts thrown by winning player. * View in-game stats including Marks Per Round for cricket games and Points per dart & 3 Dart Avg for X01 games. 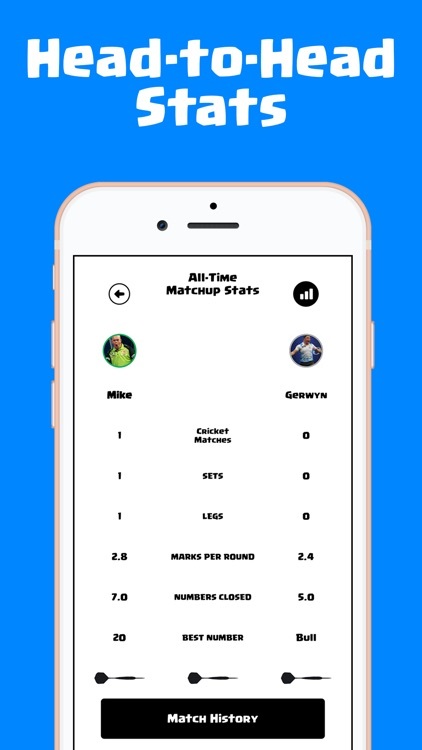 * View player stats including Marks Per Round for cricket and Points Per Dart for X01. Player stats can be filtered based on opponent. 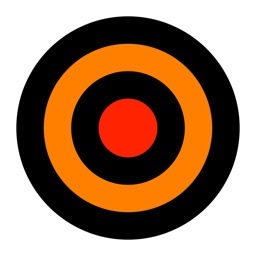 * View Dart game match results that include Marks Per Round for cricket games and Points Per Dart for X01 games. * Customize your experience with game options, custom sound effects and themes. * iPad Pro and iPhone X support. 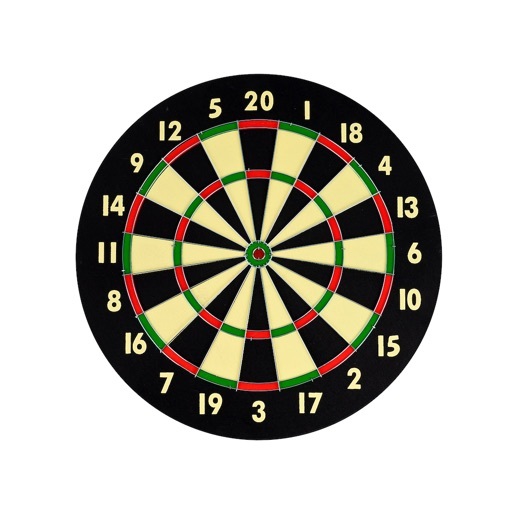 * Single, double or triple tap a dart button to score a single, double or triple respectively, or long press a dart button to score. * Tap the miss button to record a miss. 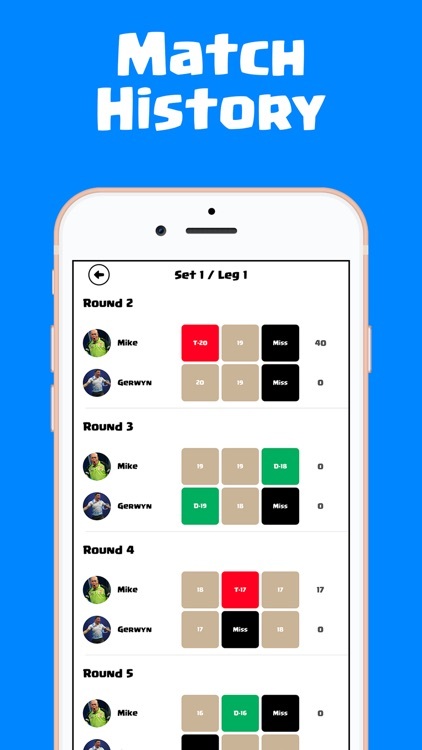 * Tap the next (forward arrow) button to move to the next players turn. * Tap the undo (back arrow) button to undo the last throw. 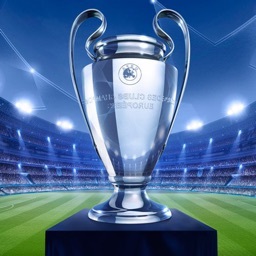 * Tap the reset button to restart the current game. 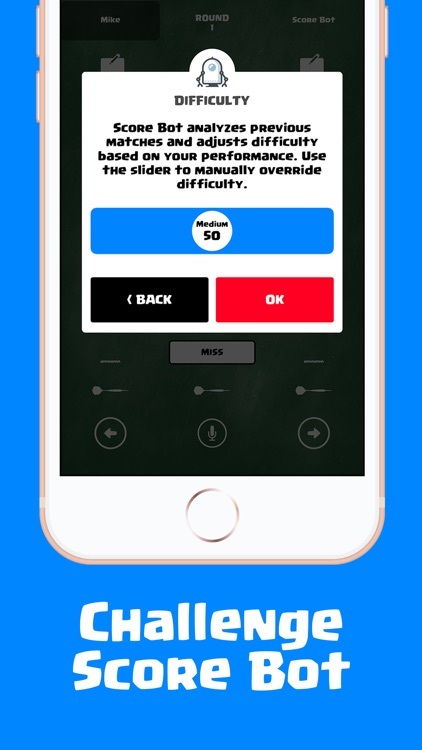 * Or, you can tap and hold the microphone button to speak your score. 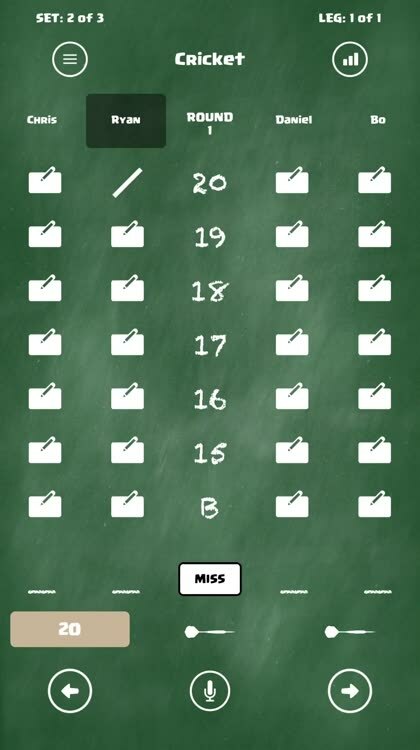 For example, you can say things like "Double 19, Triple 16, Miss", then release the microphone button to apply the score.